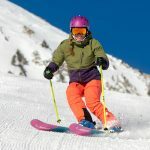 Blizzard's Black Pearl is an all-mountain performer for skiers who like to make short, quick turns and head right for the fall-line. Our testers did not find as versatile -- or confident -- as the Rossignol Temptation 100 and Head's Total Joy. There’s an old saying that skiers are either riders or drivers. The Black Pearl is a driver’s ski. 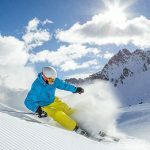 Perfect for skiers who want quick response, short swing turns and the ability to zipperline soft bumps, this is a lightweight ski built with Blizzard’s awesome Flipcore rocker for easy initiation in any condition, and vertical sidewalls for edgehold. If you like big sweeping turns, and prefer skiing with a wide stance, you may prefer a longer Black Pearl, or slightly wider ski.